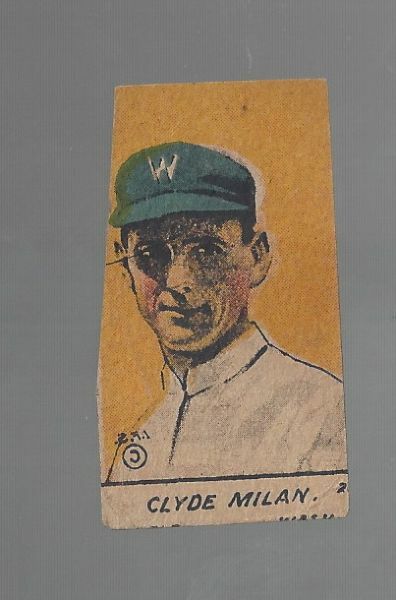 1920's W516 Baseball Strip Card 0 Clyde Milan - hand cut. Shows wear. Fair/Good.